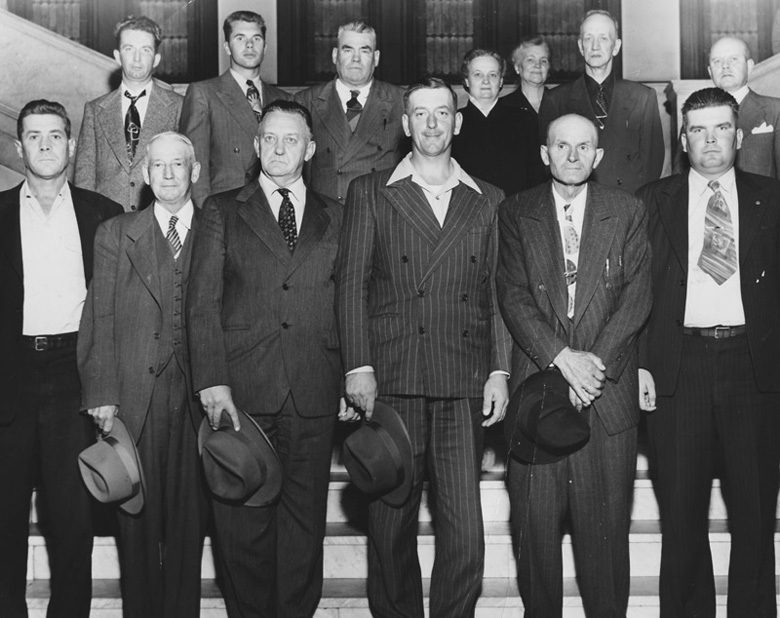 Max Muelle resides in Marquette Township and is the last known surviving member of the jury for the People versus Coleman Peterson murder trial. Marcus C. Robyns, University Archivist, Northern Michigan University, conducted this interview on July 27, 2008, at the Central Upper Peninsula and Northern Michigan University Archives. Mr. Muelle was 21 years old at the time of the murder and had just started his own landscaping business. In the interview, he recalls the community's reaction to the murder, John Voelker's conduct of the defense, the pivotal role played by the Army psychiatrist, the content of the jury's deliberations, and his own interpretation of events. Caution, some language in this interview may be offensive to listeners.